Northern Sydney aged-care facilities will be first in Sydney to receive the benefits from a program to improve palliative care. The program aims to build partnerships between aged care, general practice and HammondCare’s specialist palliative care services and will be evaluated on this basis by the University of Technology Sydney. Kelly Arthurs, clinical nurse consultant and project head of Frenchs Forest, said that all too often the final moments of someone’s life is in the emergency ward of a hospital. According to her, it creates frustration for staff both in hospitals and aged-care facilities. 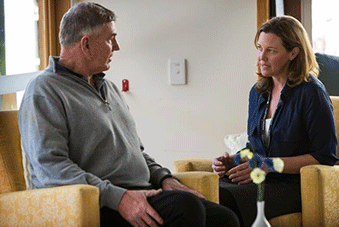 Increased number of patients in Residential Aged Care patients receiving appropriate End of Life Care. Less unplanned hospital presentations and admissions from Residential Aged Care patients, especially after hours. Increased choice and control for the patient and their families. Reduced discomfort and pain for the patient. Reduced anxiety for patients and their families. More timely access to specialist palliative care if required. More timely access to bereavement support for families. Increased communication/involvement of the treating GP and other health professionals.